I'm so hyped for this, especially since the team behind it worked on the original Ben 10 (which I really enjoyed and loved the art style). I'm really hoping they take inspiration from the Archie Comic version, since that's my favourite adaption of the classic Mega Man, especially with the way the comics handle the characters and their backstories. This was announced back in June 2015. Is this even active?! No updates so far. There has been more news about it at the Long Beach Comic-Con 2015, in which the directors said that the art style is going to be like the games, and a bit more info. The pilot has also been finished. But other than that, not a lot of information since then. Hopefully Capcom won't cancel the project since this is really all MM has left now that the comics have discontinued. The bomb dropped last month that the show is still on track for 2017. It seems the rumored partnership between Dentsu Entertainment USA and Man of Action Entertainment to create a new Mega Man animated series is true. 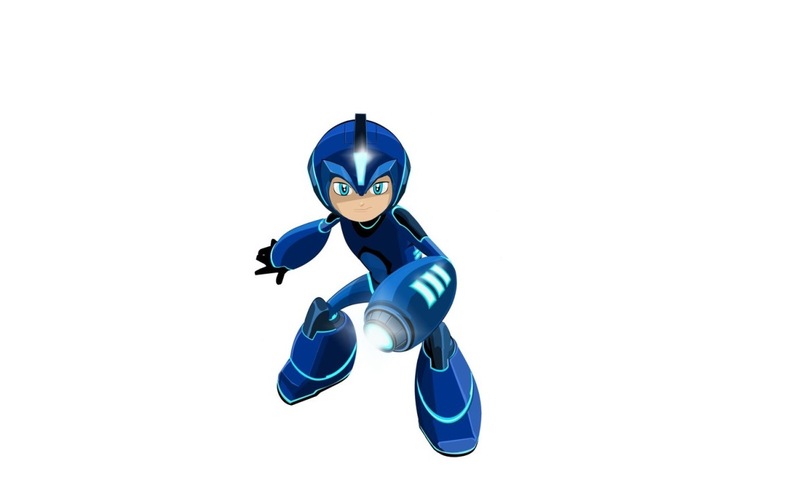 Aimed at kids 6 to 9, as well as their parents who grew up loving the videogames, the animated series will feature exciting new technologies and robots, as well as the introduction of Mega Man’s alter-ego, Aki Light, a normal, upbeat, schoolboy robot. When activated, his skin re-forms – in a flurry of computer code and visual pyrotechnics – into a suit of impenetrable nanocore armor, including the iconic Mega Buster arm cannon and helmet. Beloved characters, like Rush, will return – while new characters, like Mega Mini, will make their debut! ...while trying to keep his superhero identity a secret and maintain a normal robot schoolkid life. Seems like your typical children's cartoon fare to me. Well, I guess its been a while since the last spin-off. The archie comic will probably get rebooted to tie in. New glimpse of Fire Man and Ice Man. It looks something but I need something I can grasp on. The show is set to premiere August 5th, 2018. Each episode is about 11 minutes long. 52 episodes are confirmed. Aki Light, a normal schoolboy robot, discovers that deep within his programming lie secret protocols that can transform him into the powerful hero MEGA MAN! As the worldâ€™s first robot superhero, Mega Man battles the wickedest villains Silicon City has to offer. But his biggest challenge is trying to balance his secret hero life with his public school and home lives. Continuing the benevolent work of his world-renowned scientist father, Dr.Light, Mega Man also has to find a way to redeem his twin brother, Namagem and release him from the evil influence of Sgt.Night.